Lewis Hamilton New Worth, salary and career earnings: Lewis Hamilton is a British Formula One racing driver who has a net worth of $285 million. 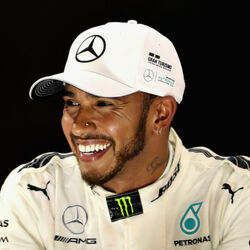 Lewis Hamilton was born January 7, 1985 in Stevenage, Hertfordshire, England. He currently races for the Mercedes-AMG Petronas Motorsport Formula 1 team. During his first season in Formula One, Hamilton set numerous records and finished second in the 2007 Formula One Championship, just one point behind Kimi Räikkönen. His first world championship was won the following season, ahead of Felipe Massa by the same margin of a single point. In 2008, he successfully won the F1 World Championship in the last race of the season. Since winning the title in 2008, he subsequently finished no higher than 4th. However, in the 2014 season, riding for Mercedes AMG he would be in a good position to improve on that. During his career Lewis Hamilton has courted controversy for maneuvers on the track or remarks off it. He is very much in the public spotlight and his words are often closely scrutinized. Racing in Spain, he was the victim of racial abuse from some Spanish supporters. His close rivalry with Spanish rider Fernando Alonso was responsible for encouraging Spanish supporters to direct abuse at Hamilton. He admits he is very competitive and this sometimes caused tension with other drivers. Lewis Hamilton has been criticized by some MPs for avoiding paying U.K. taxes by living out of the country. 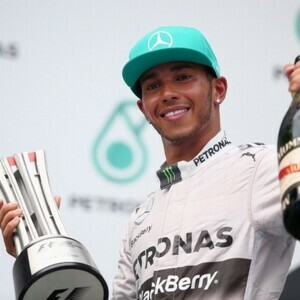 Regardless, Lewis Hamilton has inspired many and is seen as a great role model especially for young black people. Lewis Hamilton was named after Olympic sprint champion Carl Lewis. Between June 2016 and June 2017, Lewis Hamilton earned around $50 million from endorsements and prize money. 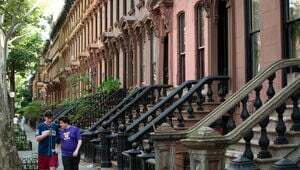 Between June 2017 and June 2018, he earned $51 million.